This sounds like a great Tuesday night. On 30th July enjoy a 4 course meal cooked by Ben Spalding, with a complimentary Sipsmith Summer Cup on arrival (& then buy more from the bar). It's on a rooftop in Shoreditch, and assuming this weather holds out, it'll be stunning. "Chef Ben Spalding's Stripped Back is teaming up with Sipsmith! The long-awaited British summertime is finally here and we are celebrating in style with a party on a secret rooftop in collaboration with Sipsmith independant spirits and their delicious Summer Cup. Following on from a sell out event on Tuesday 16th July, Sipsmith and Creative Belly are teaming up to host a special four-course dinner at Rockwell House in Shoreditch. Choose from one of three sittings (each lasting 45 minutes) and take in the spectacular views over London as you enjoy your meal. Gypsy jazz musicians will play throughout the evening and diners will also be able to have a go at Sipsmith Swan Croquet. Tickets cost £27.50 per person and include a complimentary glass of Sipsmith Summer Cup on arrival. 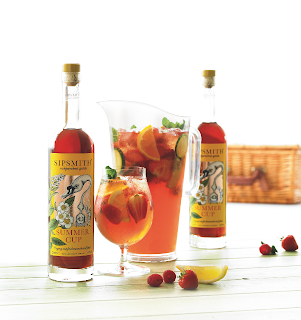 Sipsmith will also be running a Summer Cup bar over the course of the evening so diners can enjoy the music, croquet and views before or after their sitting."